Summer is the time when your backyard is really put into use. You can plant some new flowers and your kids can learn new games (now that the summer vacation is on) all under the sun. But an abandoned backyard would not inspire you enough. Try these incredibly creative ideas to enliven your backyard and give it a fresh new look. You can complete these easy and cheap DIY projects with old furniture junk lying around your house or with simple articles readily available in the market. You can make a giant xylophone with furniture palette or spice up old trampoline with new colors. 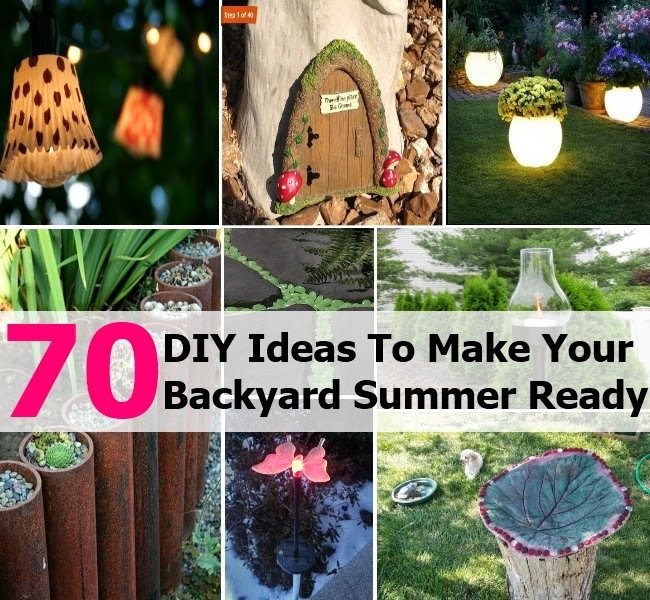 So, go creative and get your backyard summer ready.